It’s no secret that New York City sees its fair share of fender-benders, but many drivers are unaware that our metropolis has some of the highest rates of motorcycle accidents in the entire country. Although motorcycles make up just 2 percent of registered vehicles, riders account for nearly 15 percent of traffic fatalities that occur in the five boroughs. Additionally, the fatal crash rate for riders in New York City is nearly double that of the rest of the state. Motorcyclists who are fortunate enough to survive these collisions often sustain debilitating injuries. 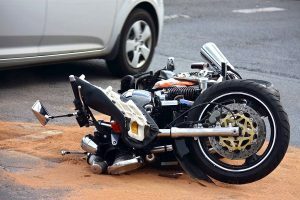 If you were struck by a reckless driver while riding your motorcycle in the city, you may be entitled to compensation for your lost income, medical bills, and other damages. But to recover the maximum settlement after a serious wreck, you will need strong evidence to prove liability and damages. 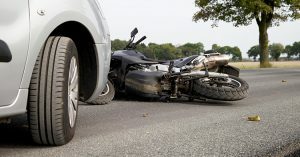 This is where a New York City motorcycle accident attorney can help. Attorney Scott Charnas of Charnas Law Firm has been resolving serious personal injury and wrongful death cases in New York and Massachusetts for more than 25 years. To schedule a free initial consultation, call 212-980-6800. Pictures of the scene can help accident reconstruction experts determine precisely what happened in the seconds leading up to the crash. If you did not sustain life-threatening injuries, you should photograph the wreck from all angles. Be sure to capture details like skid marks, property damage, traffic signals, weather, injuries, and road conditions. If any nearby motorists, passengers, or pedestrians witnessed the collision, their statements may corroborate your version of events. Eyewitness testimony can be especially valuable if there is a liability dispute. The police report is a crucial piece of evidence in all car accident claims. It includes essential information about the crash including the personal details of the people involved, whether there were injuries or property damage, the time and location of the collision, and its apparent cause. The types of evidence listed above will help you prove liability, but you must also be able to prove damages. Your medical records can be used to demonstrate the severity of the injuries you sustained, the necessary treatments, and the overall cost of your medical care. Statements from medical, financial, and vocational experts. If you were hurt in a motorcycle wreck that was not your fault, turn to attorney Scott Charnas at Charnas Law Firm. Scott has recovered nearly $50 million for accident victims throughout New York and Massachusetts. Call 212-980-6800 to schedule a free case evaluation or fill out the contact form to get an experienced personal injury lawyer.